Our guest this week on the Betting 360 podcast has a number of years experience in the corporate bookmaking industry. 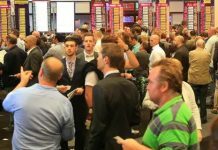 He is also a keen and successful punter so he is in the perfect position to give us some real insight into how to avoid ‘red flags’ when betting with the corporates. It’s a common question – how can I keep my account from getting restricted or banned? Nathan does a great job answering it. What kind of a staking level to stay at to avoid getting flagged. The unfortunate reality that successful punters face. How to position yourself to be a client that a bookmaker really wants. Bookmakers’ preferences for bet types. Some of the sneakiest ways to avoid getting flagged. David: Hi this is David Duffield and welcome to another episode of the Betting 360 podcast. My special guest today is a veteran of the corporate bookmaking world and he’s also a keen punter, so it’s a really good position to be in to give us some insights into what the corporates are looking at when they’re considering limiting or closing down your account. One of the biggest battles these days is being able to get on for a reasonable amount for Australian horse racing. He’ll let us know some of the red flags as to why people’s accounts can be closed or as I said, limited, and give us some pointers on exactly how to avoid that happening so that you’re in it for the long haul so, lets have a chat with Nathan. Hi Nathan and thanks for joining us. David: I appreciate you coming on the show. It’s a common question that I get whether it’s in the office, by email or if I’m out and about, a lot of people are having problems in getting set for what they’d like to. I thought with your background and experience you could run us through a few of the ways that probably would give you a bit of longevity and stay under the radar. In terms of staking levels, and we’re primarily talking horsing racing here rather than sports betting, what kind of a staking level can you remain at to make sure your account is unlikely to get flagged? Nathan: You eventually will get flagged once you’ve won 10,000 dollars or more in profit, but to stay under their radar before then, realistically you want to be betting no more than 80 dollars per bet. David: When you say 80 dollars a bet that’s obviously the stake. What about the collect or the return because does it matter if you’re having it on even money shot versus a ten to one shot? Talk us through that. Nathan: In terms of return the alarm bells will go off if someone wins 1,000 dollars on a bet, that’s going to raise alarm bells no matter what your staking level is. If you’re going to place a bet that returns over 1,000 dollars, definitely split it up between different bookmakers. 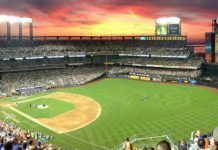 Each bookmaker will have different levels but 1,000 dollars is the key value for most bookmakers. David: But the stake amount can be a trigger as well. Even if you’re having it on a relatively short priced horse, if you’re over that 80 dollars threshold the warning signals can go. Nathan: Yeah indeed. Particularly once you get up to 100 dollars you’ll be picked up by everyone. Every bookmaker will say okay this guy is spending a hundred per bet, they’re going to have a look at your account, and they’ve got business intelligence analysts who will go through and try to identify patterns regardless of your stake levels. Particularly if you go over 80 dollars, you will get picked up. David: You’re saying there are people whose sole role at the corporate bookmakers is to identify unprofitable, whether that’s currently unprofitable or likely to be unprofitable, accounts? Nathan: Yep indeed. There’re people that’s there job. They will sit there and they will do data mining over a particular weekend. They will often times look at new customers and see what they do in the first week. Particularly if they come in and they start making sizeable bets early on. David: What about bet timing? Does it matter when you place the bet and again, we’re mainly talking about horse racing here? Nathan: Timing is one of those crucial things. If you place your bet in the last two minutes, often times you will get a great price, but if you’re regularly placing bets in the last two minutes before the jump, that will get flagged as well particularly if you’re successful. David: Does it matter if you’re beating SP? Like even if you’re placing losing bets but if you’re beating the closing price, the starting price? Nathan: The price doesn’t really matter. David: If you’re consistently beating the starting price and the horse firms, can that be a red flag in itself? Nathan: Okay. Well in terms of betting in the last two minutes, that’s not really a problem. If you’re betting early and consistently getting a price that’s way above the starting price or the top fluc that will get flagged. But once again, if you’re a 10 dollars punter, they’re not going to really take much notice at all. David: As a rule, do the corporates tend to mind whether you’re betting on a country maiden or a metropolitan race on a Saturday? Do they care whether it’s a high liquidity market or a low one? Nathan: If it’s high liquidity it’s much easier to balance your book, so in that respect if a corporate bookmaker has to lay off they’ll lay off on the totes in last 30 seconds before the race jumps. In the case of country maidens the pools are nowhere near as big so they’ve got to lay off more because they know they’re laying off values are going to have a significant impact on the tote price. They’re going to really look at people who are consistently making good returns on country maidens. David: You mentioned ‘laying off’ there so is that a fairly typical strategy from most of the corporate bookmakers? If they’ve got a client whose ability they respect, they’re likely to lay it off? Nathan: Yep indeed. Well they’re not going to look at a particular client in terms of when they have to ‘lay off’. They’re just going to look at the position of the market and see if they’ve got a proposition, which is your horse if that wins, if they make a loss, they’re going to ‘lay off’ on it. David: What about profitability? I’ve heard the occasional reports, not people I’ve spoken directly to recently, but you do hear stories about having losing accounts shut down because they weren’t losing at a sufficient rate. Possibly a low single digit rate where in terms of servicing that account the bookmaker doesn’t believe it’s going to be worth their while. Have you heard of any accounts being restricted or closed who are actually losing at the time? Nathan: No I can’t say that I have heard of that. David: In your time in the corporate bookmaking world did you catch up with some people whose responsibility was this area in profiling clients? What else is likely to be a red flag? Nathan: Red flags, there’s all different ways they will look at the as I said, we’ve discussed timing, we’ve discussed the staking levels, we’ve discussed your return, but what they’re going to look at is, what markets you’re betting into. They’ll generate graphs of a general trend, and there’s all different weird and wonderful ways you can run analysis on data particularly if you’re betting with a company a considerable number of bets, they’re going to be able to extrapolate how much you could potentially win over time. If it matches what they think is going to cause a problem, they will shut you down. However, they will give you enough time to prove that you’re not a fluke. You can have someone come in and they can win a substantial amount of money over a period of a few months and they’ll say, well this might be just a normal run of things. A lot of people will have a good run, and then they’ll also lose it. One particular example I know of, a gentleman, who had made around about six to $7,000 profit, and the discussion was made, do we close this account down. The answer was, no. We let him go because in the previous three or four years he’s also dropped $30,000. So, they’re going to give you time to prove that you do make money out of them. As long as you don’t give them those flags where you’re going to win those $1,000 returns, betting over 80 dollars. David: Do you know whether they have any preference as far as people taking best tote or top fluc? Again are there any indications that the persons bet type is likely to be whether they’re a smart punter or just an everyday one? Nathan: They’ll look at you more if you take fixed price. In simple terms when you’re betting best fluc or best tote, that’s relatively simple for them. That’s considered the mug punter product. David: Fair enough. At that time possibly it is, but there are also times where it can have a nice advantage. What about specific bet amounts? 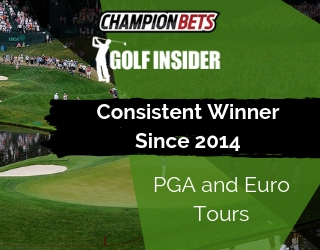 Sometimes say with our rating we might suggest people bet 1.63 units. If that happens to be 77 dollars for someone, if people are that specific about their staking, again, is that a possible red flag? Should they just be rounding off? Nathan: If it’s under $80 just do it. I’ve had a number of accounts myself where I’ve had the rating selections come in and say bet $77, and I’ve said, okay. I just put $77. I’ve also had ones where okay, I’ve got a bet $123 I’ll break those up into two different bets with two different bookmakers. David: You mentioned breaking up the bets and that’s something I think a few people need to get their head around the long-term gain. I was talking to our New Zealand analyst today and there are often races he’s betting into that don’t have a lot of coverage as far as the bookmakers go. He splits up his bet and he understands there will be times where he could have got a bigger price about a winner but, he wants these accounts to be active in ten years from now. Do you adopt a similar approach where it’s more of a longer-term play so just forego some short-term profits for the fact that you can basically stay in play? Nathan: Absolutely. I break up my bets all the time. You’ll often do this anyway during the course of betting. You could decide to say take a position early just to get a specific price and then you can put a little bit through later. What you can do there is, you can also do that with different bookmakers. As long as you’re not taking ‘unders’ you’re going to be fine. David: What about if you do all of that but it’s to no avail and you’re limited in some way possibly even, or if you’re banned, don’t worry about it, but what do they do from a technological perspective? Is there IP tracking and the like? If you were to attempt to, it’s not something we’d recommend, if you attempt to open up an account from your computer with your Internet connection under someone else’s name, that’s not likely to last long? Nathan: Not every corporate bookmaker does IP tracking. The bigger players do. If you open up an account in your wife’s name, and you’re using the same IP address, and you’re account’s already been banned, or restricted, chances are that will happen very quickly. Particularly if you’re doing similar types of betting patterns because they’ll run an analysis, say, IP address, they match. Quite often times IP addresses will match with a number of different clients because they live in the same apartment building things like that. But if the same name comes up or the same address, they’ll definitely pick up on it very quickly. The solution to that is to use a VPN so you’re masking your IP address. Once again, don’t use an IP address from outside of the country because there’re different requirements for international customers. David: Is the IP tracking done on account signup or anytime you’re placing a bet? Nathan: When you’re placing bets. Though if you’re going to sign up for a second account say in a wife’s name, use your VPN to use a different IP address because they’ll already have your one logged. Alternately make sure you use a dynamic IP address or bet on your phone. David: I was going to say something that may sound counter intuitive in a way but that is that betting on your phone, I was going to say has more security. Is that … my technology background is not strong, but am I right in saying that? If you’re on your phone there is a little bit more of a variety. You don’t look like you’re the same person trying to do the same bet? Nathan: Yep that’s right. Obviously you’re going to put some money through a particular account so they can see that, but on you phone it’ll be different and that’s particularly true … if you’re in a position of where you work in a bookmakers office you would never ever place a bet using work equipment because you’ll get a work IP address and they’ll pick that up very quickly. David: What about is it worth clearing you’re browser or history or cache memory, cookies, any of that stuff? Is that recommended to give you a fresh sheet? Nathan: It wouldn’t make any difference. That’s got more to do with your local computer than what they see. David: Okay. And you mentioned a VPN. Do you want to just run through that for people that have never heard of it? Nathan: A VPN is a virtual private network and there’re a number of them. I haven’t had need to make use of them myself but I know that I will shortly because I’m pretty sure my accounts will get restricted in the near future because I’ve had a bit of success over the last 12 months. What that does is it gives you a different IP address and you can say, okay, I want to make it look as though my IP address is, I live in Victoria, I want to make it look as though I’m in New South Wales. You can make it do that. 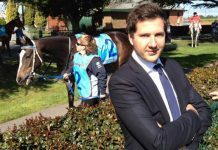 David: You mentioned your own success so you took the strategy after a solid run of wins that was the time you upped you’re bet size so it just looked like you, I think it was post Flemington Carnival, it looked like you were basically cashing in on recent success and maybe even getting over confident. Is that the way it presented to the bookmakers? 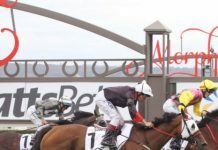 Nathan: Yeah I’ve been in the position where I’ve wanted to increase my unit size for a little while, and I had a rather spectacular spring racing carnival, which I think quite a few of us do use the rating service and trial spy. I went, okay, I’ve had an increase of something like about two or three hundred units. So I said okay, that’s time to increase my unit size. So then I increased my unit size. When you have a run of success like that particularly over a carnival where there’s been lots of favorites successful, that’s a good time to increase your bets because it then presents the image that you’ve had some success, you want to give your money back to them. So, because you’ve had success, you want to keep having that success that’s the ideal time to do it, and particularly don’t do it on the 1st of the month. If you increase your bets like that on the 1st of the month it’ll be flagged. David: All right. So I think we’ve given people a few pointers on how they can hopefully stay under the radar indefinitely or at the very least perhaps longer than they would have otherwise. Was there anything else you wanted to add just before we finish up? Nathan: Yep. One thing I will say is that if you have a successful account you eventually will get restricted or banned because bookmakers will only take a certain amount of loss before they will do things to close your accounts. Some bookmakers will just close your account on you and send you a cheque. Some of them take pride in saying we have never closed an account, but they put so many restrictions on that you effectively can’t place a bet. David: You see those stories in the media taking million dollar bets, and they say, yeah we never close an account but you can get on for about ten cents. Essentially it’ll be the same thing. Nathan: I’ve seen punters place a million dollar bet and be accepted and they win, they got $1.6 instead of $1.8 because it was such a big bet, which they accepted, they won. Then they promptly turned around and placed another million dollar bet, they promptly lost so the bookmaker ended up with a 400 thousand dollar profit. So, they’re definitely going to allow people, these types of punters, to put on big bets because they can afford to lose. David: I’m surprised that you saw the million dollar bet go on. I thought some of these were more marketing and PR rather than legitimate bets. Nathan: No. It does actually happen. 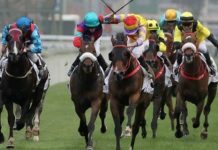 There are some customers particularly around Spring Racing Carnival that will place those types of bets. Sometimes the bet will be accepted. Sometimes it won’t be accepted. David: Okay. All right we’ll leave it there for now Nathan. I really appreciate you joining us today and I think it’s shed some light on what’s a difficult area for most members and for most people listening in. So, thanks again and I might get you back on sometime? Nathan: Okay no problems Dave. Thanks for tuning in to Betting 360. 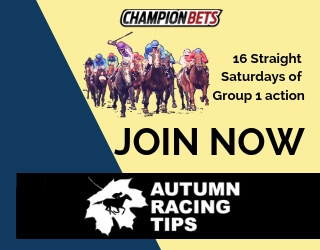 Get more in depth analysis, tips and that betting edge by heading over to ChampionPicks.com.au where you’ll find a full transcript of this episode. If you liked the show, share us with a fellow punter or drop by iTunes to leave us your thoughts. Betting 360, punting from all angles.